Fairbanks now offers an NTEP approved, heavy duty, off-road vehicle scale for those extra wide or extra heavy weighing applications. 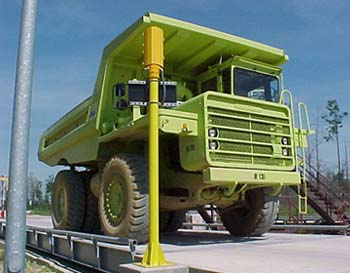 The side-by-side Megabar scale can be sized to fit nearly all off-road vehicle weighing applications. With a 400,000 pound capacity, this mega-scale can weigh almost any off-road vehicle, including a Euclid R40, Caterpillar 773 and TEREX 3308.